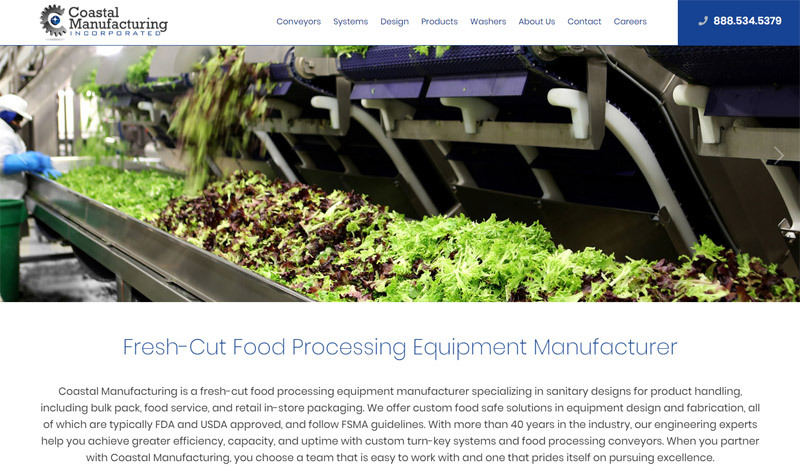 Coastal Manufacturing manufactures fresh-cut food processing equipment that enables farms to handle and package foods before shipping to grocery stores. They specialize in two aspects of food processing equipment: Turn-Key Systems and Conveyers. Their equipment is designed with sanitation and durability in mind, and all of their equipment is typically FDA and USDA approved. The service pages make use of a slider that is especially effective on mobile devices. 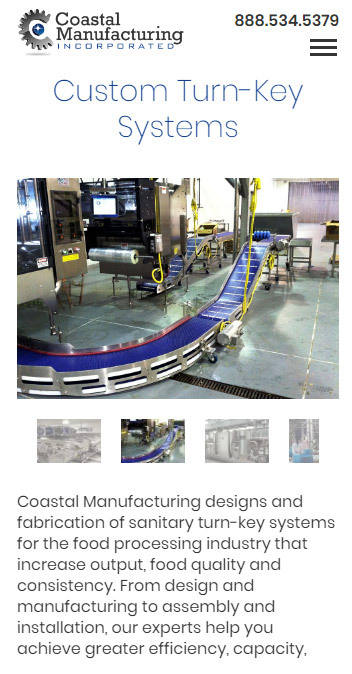 Customers of Coastal Manufacturing are very interested in seeing photos of the equipment, and we made sure to include a variety of photos for each equipment page. The site communicates a sense of trust and transparency that is crucial in the food handling industry.